New Treasury analysis has revealed that the UK economy will be worse off under the PM’s Brexit deal compared to staying in the EU – a fact conceded by the Chancellor himself. The Treasury analysis shows May’s deal could leave the UK economy up to 3.9% smaller after 15 years, compared to staying in the EU. The Treasury have admitted it. The Chancellor has admitted it. Yet the PM appeared to deny it in PMQs on Wednesday. “The analysis shows…no..[heckling]..no…no…the analysis does not show that we will be poorer than the status quo today….no…no it doesn’t. “I do wonder if the PM has read her own analysis – quite clearly leaving the single market and customs union we will be poorer. The spat has led to questions over whether the PM is misleading the House. While it is true the economy may continue to grow after Brexit, it will be significantly less than the status quo. Meaning, quite simply, we will be poorer when compared to staying in the EU. Labour’s Rachel Reeves also called out the absent Chancellor for touring the TV and radio stations this morning – but failing to turn up to an Urgent Question on the Treasury’s economic analysis. “We’re in the ludicrous position of seeing an analysis produced today on the economic implications of Brexit which is in fact an assessment of the Chequers proposals abandoned months ago. “The government has been unable to assess the vague, half-baked deal the PM is promising, but what we do know is the latest proposals are worse than even the Chequers Deal. 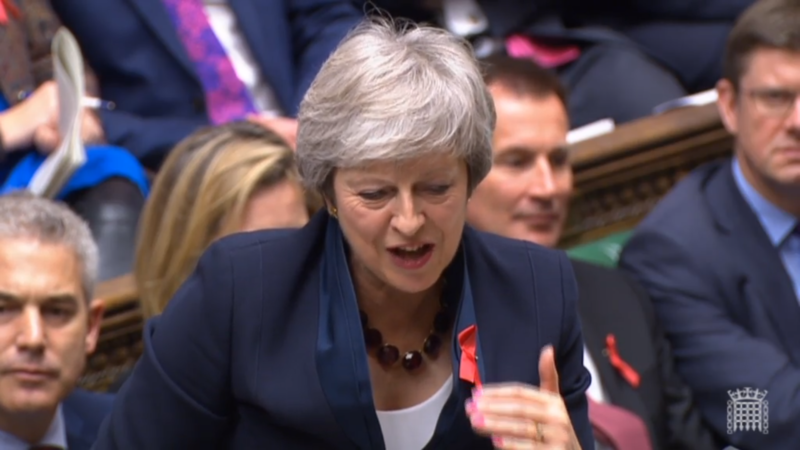 PMQs saw the PM’s own side take her to task on telling alleged porkies. Is it just a matter of opinion though – or is the PM misleading the House? WATCH Ian Blackford take on the PM here.